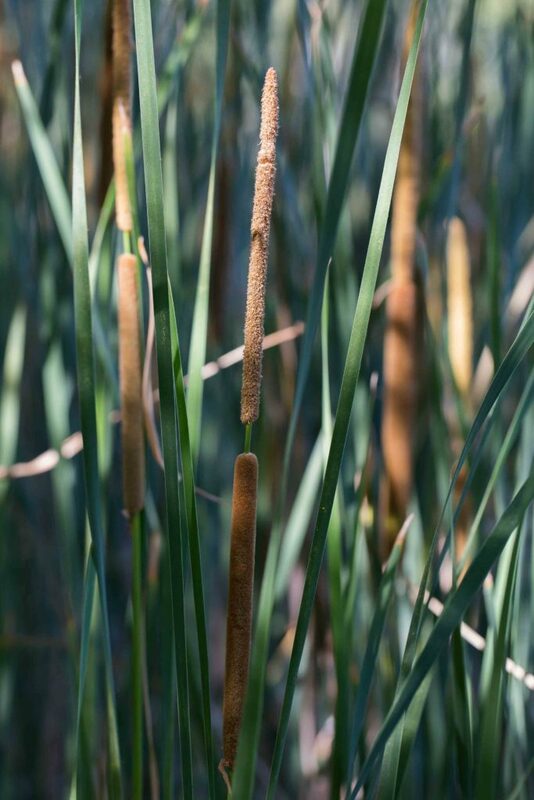 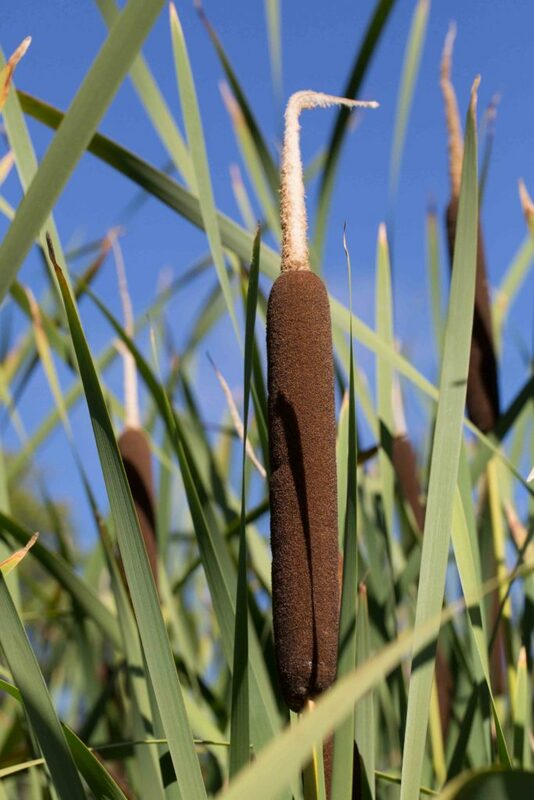 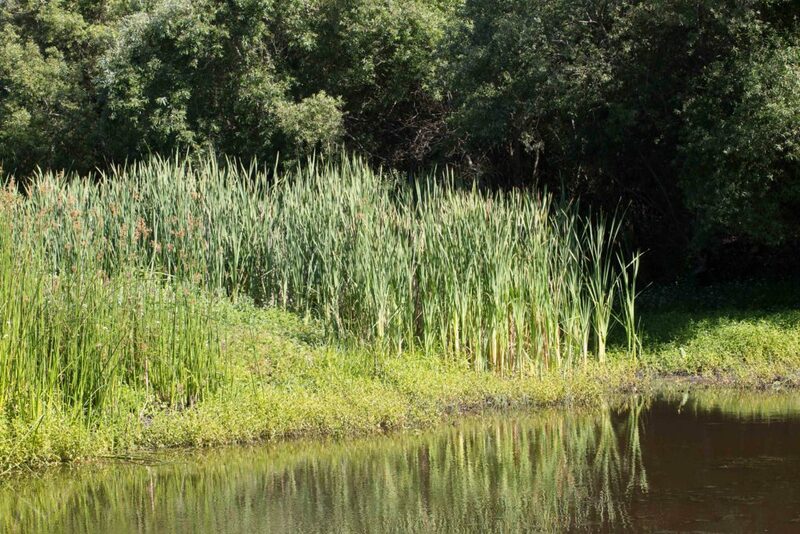 Cattails are unmistakable with their long leaves and long, dense, solid-looking inflorescences, the male flowers below the female. 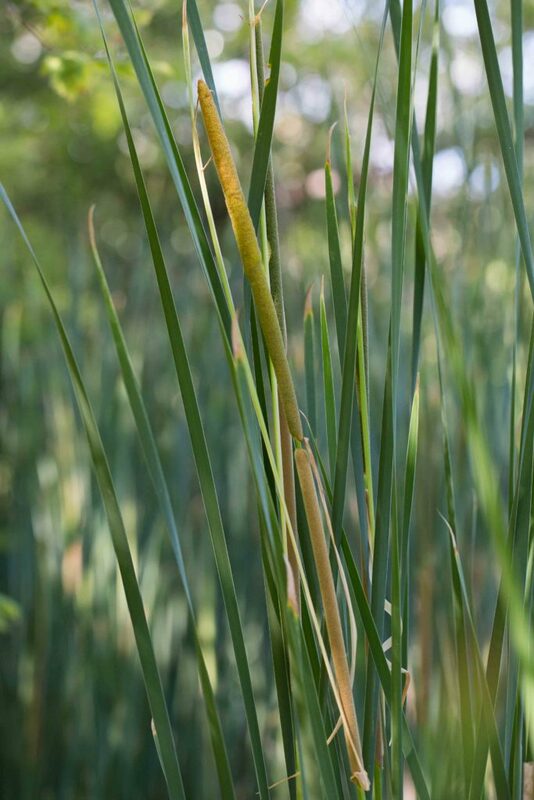 In this species, the leaves are slender and the inflorescence is long and slender with generally some bare stem visible between the male and female flowers. 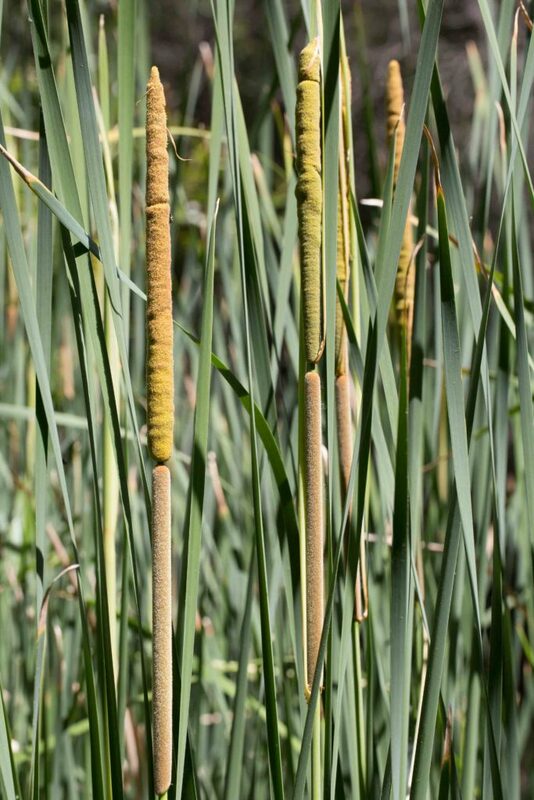 Cattails are unmistakable with their long leaves and long, dense, solid-looking inflorescences, the male flowers below the female. 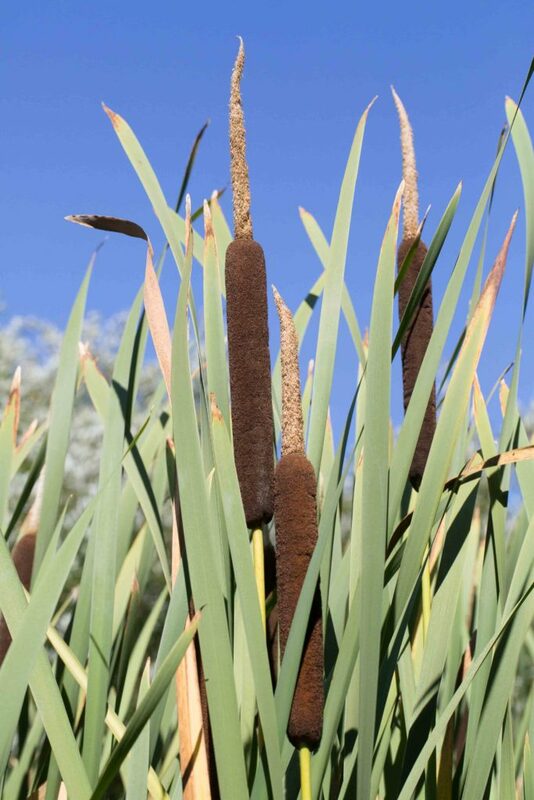 In this species, the leaves are broad and the inflorescence is comparatively flat with no bare stem visible between the male and female flowers.